A business acquaintance recently referred to herself as a PIP – a “Previously Important Person”. While I chuckled, I was also saddened by the expression. With the daily transitions that each of us are making through professional responsibilities, child-rearing, parent caregiving, volunteer roles and more, we will often move into and out of the spotlight. How can we avoid feeling like we were “previously important”? Perspective, defined as an attitude, a way of regarding something or a point of view. For years, both business and psychology articles highlight the importance of looking at life through the eyes of another….stopping to consider the perspective of the customers, patients, clients, staff or any other constituents. And, as we know, doing this successfully leads to good personal relationships and good business outcomes. Walking through an upscale department store, I took notice of a floral arrangement that put flowers on their side in very ordinary glass dishes. Such a simple example of displaying something familiar in a non-familiar manner to make people stop and take notice. The presentation, at a main store entryway may well have been designed to create a subconscious influence of how people will shop. When was the last time you turned something around, upside down, or inside out to allow for an alternative perspective? Try it today. The power of suggestion is all around us. In just a few city blocks, I took note of how many storefronts ensure that their services are out-front and easily visible for all to see. Playing with animals, casual dining or sit-down tablecloth dining – the experience is as much about the product as it is the ability to share it with others. The power of suggestion is all around us. What will you spontaneously pick up later today? I recently started keeping notes on the new things that I observe during the day…..when you take the time to write it down………you realize how much you take for granted. So much activity! So many nuances. The age-old question of “What do I want to be when I grow up” is never easy to define….and I am always fascinated by the stories of those who truly changed the direction of their work, using skills in a completely different application. I was recently making small talk with an X-ray technician. He told me about decades spent as a bartender and restaurant manager. Earlier days included time in the military. It was humorous ….. and then the career links became oh so obvious: Helping others. Customer Service. Measuring items that come together within a followed formula. People-facing. Patience. Ability to handle emotionally charged environments. When was the last time you used one of your skills in a completely unrelated situation? Walking by one of the fancier, established NYC hotels, I watched the starched shirt doormen assisting the well-dressed and casually-dressed hotel guests alike. The doormen juggled their assistance with the luggage, the hailing of the taxis and the requests for directions with never-ending smiles and cool composure. So it is not surprising when I took a moment to pause because out of the corner of my eye, I noticed one of the clean cut doorman having a moment of rest —- and blowing a big bubble gum bubble covering up the bottom quarter of his face. Really??!!! Not quite the class act hoped for by the hotel management. And a good reminder that we all sometimes do things that are best done when not in the public spotlight. The New York Human Resources People and Strategy Group recently hosted an insightful presentation featuring social entrepreneur Aaron Hurst. The desire for purpose, calling or self-fulfillment is not new. However in today’s society which allows 24/7 connectivity, availability and choice…… the boundaries between our work and personal lives is often non-existent. 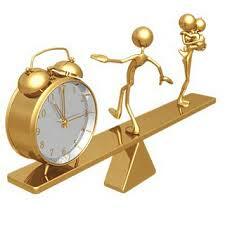 The concept of work: life balance has become a concept of work: life integration. The premise of seeing one’s act of labor as fulfilling and satisfying —regardless of the role one plays in the world of work—- provides the consistency that allows us to thrive in everything that we do. Research has shown significant levels of employee disengagement and frustration. Further studies surmise that the disengaged workforce is less productive, less dependable, and less loyal to the work-team. Infusing the purpose approach into every aspect of our lives becomes critical. The concept starts with an attitude. Individually, we create purpose by choosing how to approach a job vs. only looking at the actual content of the job that we are doing. Some industry articles attribute this shift in philosophy to the millennial; I think the fundamentals of the purpose concept have been percolating for a very long time. Our aging society, sandwich generations and millennial attitudes have allowed these frustrations to be channeled in a positive direction. As a member of the Boomer generation, I grappled with work: life balance as I entered my parenting years and was an active participant in remote work schedules, freelance contracts and career off-ramps. The Purpose Economy addresses the personal interests and demands of individuals by “allowing us to publicly balance our multiple obligations”. How can we combine passion and expertise consistency in our lives –vs. – looking to our volunteer work and hobbies to fill in these gaps? Does each of us have the ability to work with purpose and to live with purpose? Is this a learned activity? Will this increased awareness obligate everyone (the employers, the employees, the clients and the providers) to realize that work: life integration is reasonable and attainable? The answer is a definite YES! 1. Develop individual self-awareness. As an employer, strive to assist your employees in building their self-awareness. • Those who demonstrate calling in their daily lives see their actions as being bigger than them. They are motivated by the ability to impact others in positive ways. They are confident in their actions being consistent with their driving emotions. 2. Tailor your work to reflect the purpose(s) that motivate you. As an employer, allow the employee to tailor their work to boost their own sense of purpose. • Doing this involves the deepening of relationships, defining opportunities for growth and maximizing the impact that someone can make in a situation. 3. Connect your personal purpose with your organizational purpose. As an employer, allow your employees to understand the impact of their labor on the bigger picture. 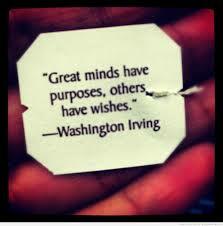 • People who behave from a position of purpose or calling see their efforts as providing positive growth. The power of continuous learning is important to all of us. • I note that this example was given within the context of bringing people together who tested with similar purpose profiles. People with different functionalities and backgrounds were able to gain a new perspective on subjects that they had no understanding— when the sharing was made with someone else who shared a similar purpose-perspective. As a marketer, this reiterates the importance of the emotional connections that we create within all aspects of our lives. May the spirit of purpose guide us successfully into a fulfilling 2015!